Electronics is a very dynamic market, demanding smaller and smaller circuits, requiring very small tracks and gaps in the PCB layout. This also influences the components which can be used. As Through Hole (THT) components are rarely available for these requirements, more designs are driven to SMD (surface mount devices). This causes additional costs to your small prototype series, namely no longer can you simply take a soldering Iron and solder wire to manufacture your boards. It is now essential to use Solderpaste and a Solderpaste stencil and printing device. Solderpaste stencils can be expensive, requiring expensive machines to ensure perfect alignment for the stencil to the board. Eurocircuits have worked with designers to understand what is required and how we can help to offer the right service for printing your boards with Solderpaste. First we can offer Solderpaste stencils, you can order with a click of a button. If you have any questions about this or any other service please feel free to get in touch and we will be more than happy to help. Try out our online chat! Why you should supply us with Gerber X2 files? : All on Gerber X2. KiCAD designe rules – how to set your KiCAD DRCs correctly? New Auto-repair function in PCB Visualizer: automatic repair solution for annular ring issues. The best way to share ideas and knowledge is face to face. We at Eurocircuits want to make your life as designers easier in any small way we can. You already have the stress and pressure of creating a practical and functional electronic design without the added pressure of knowing all the production restrictions and overcoming them before being able to have the peace of mind that you design can be made. With our PCB Checker you can see not only the exact location of problem but also the measured values to allow you to either correct the technology specification or your design. But did you know, we have continued to evolve our unique PCB Visualizer tool to automatically fix these problems for you too, saving you precious hours development time and stress. Watch the 2 minute video below or read our short BLOG to see how you can save time on money getting your design produced. Did you know that you could add your company logo to your PCB design, add text, Date code, UL marking or even determine where to locate your order number? Not only this but place them either in the copper layer or the silk legend layer? But why would you do this? The answer is simple and opens a new world of possibilities and tools for design engineers. You can make your design more personalised by adding your company logo, what about adding your name to the board or easily marking it to identify a prototype and not production board? Add a QR code to the board to make it universally identifiable, Or how about simply specifying where your order number should be placed to ensure it is where you want and need it? 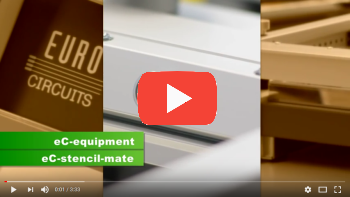 All of this has been made possible and easy to do through your PCB Visualizer, in just 3 minutes we can show you in the video below how to open a new world of PCB identification. We process over 400 data sets a day for our customers. Front end data preparation is a critical stage of the process to ensure that the data we receive reflects what the designer had in mind, that it is manufacturable and that all requirements are fulfilled. There are many CAD systems available on the market which are designed to provide Gerber data required to make your PCB’s. However one of the problems we often see with the data provided and which leads to delays and back and forth communication is ambiguous data labelling and missing data, this will be the difference between getting what you want, when you need it or not. 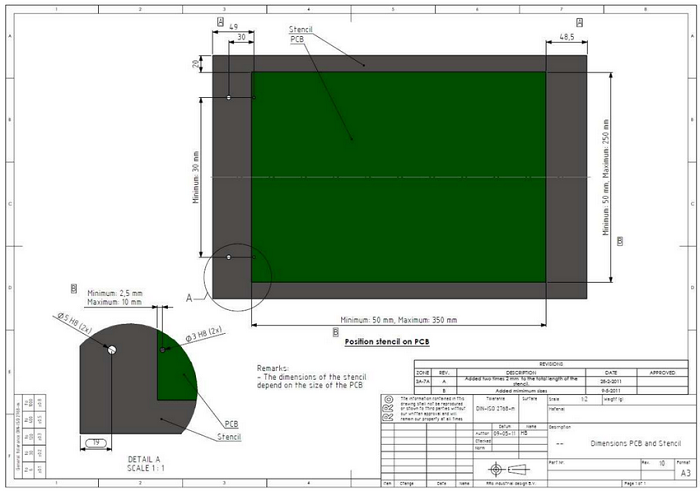 We have worked in the past to provide Design Rule Templates for Altium and Eagle which is a simple and effective way to guide you to producing the most cost effective design layout. In addition to this we developed our PCB Visualizer interface to directly utilise the container format from Eagle (*.BRD), this is a structured output which removes any ambiguity regarding layer structure, board outline and many other features which may normally require us to get clarification from you, additionally, every required layer is included (if you knew how many times we receive data without the drill file for the holes). You will now be pleased to know that we have opened these benefits to KiCAD users by providing the possibility to Upload directly to PCB Visualizer the . kicad-pcb files, this is an encapsulated file format containing all the data required, with logical layer naming and ordering ensuring no misinterpretation or additional clarification. Your can find more information here on what KiCAD-PCB provides and how you can configure this output. 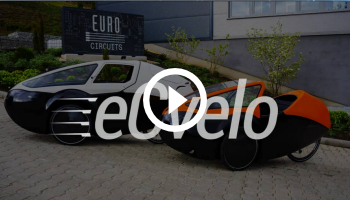 Eurocircuits exhibiting and demonstrating eC-velo Challenger trikes at SPEZI-2017 in Germany. Of course our cleaver development team have provided excellent tools (panel editor) in our PCB Visualizer to make the Panelisation process very fast and easy. To help further we have collected our experiences together to give advice to design the best layout for Panels and how to deal with Small or round PCB’s. But did you know that we also offer 2 different ways to have your boards separated (V-cut and Break routing)? 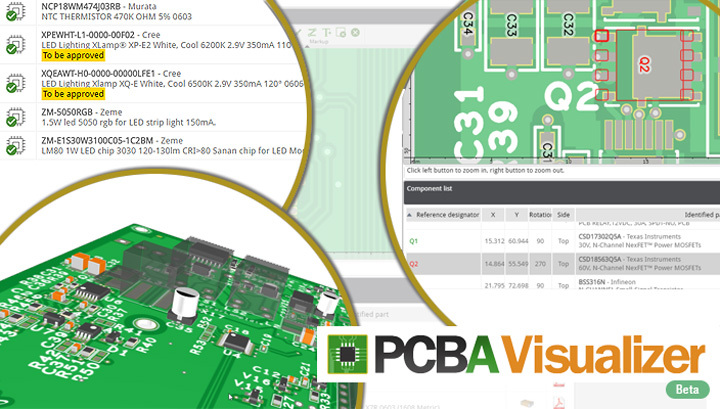 We are 3 months on the way now with our PCBA Visualizer beta testing phase and we would like to share our experiences and some tips & tricks how to use our tool efficiently. After launching PCBA Visualizer, the natural DRC DFM extension tool of our well proven PCB Visualizer for bare boards, we processed about 5 jobs per day for various customers. This has given us the necessary info to start building a professional verified component data base and improving the tools to complete your BoM and CPL analyses. Why you should supply us with Gerber X2 files. Perfectly understanding customer data and not losing any PCB design information in data transfer, are key issues to seemlessly produce and deliver quick turn around PCB prototypes. In our BLOG section we already explained the history of the Gerber Format. We have written a white paper on which actions we need to perform once we have received your data to check them and make them production ready. And we have informed you that UCAMCO is no longer supporting the old Gerber RS-274D format. Gerber X2 is todays” standard. Why should you use it? 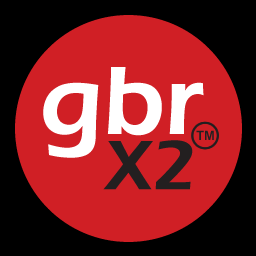 X2 adds intelligence to the Gerber format by its use of attributes. When PCB Vislualizer processes your new job, attributes allow the software to put the layers directly in the correct position in the stack-up. Other attributes identify the via pads, the SMD pads and so on. This avoids manual interaction and offers extra info for DRC and DFM checks. 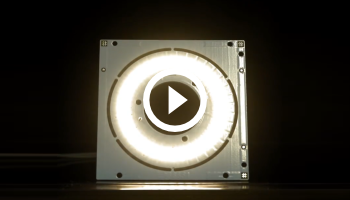 UCAMCO”s Gerber X2 intro movie offers a sneak preview in the CAM-engineers environment where he uses a UCAM system reading in X2 and experiencing its benefits. CAD systems – KiCAD, Pulsonix, Easy-PC, DipTrace and Altium – can all generate Gerber X2 files. UCAMCO cooperated with the CAD and other software vendors to validate their X2 output. We like the efficiency of X2, please use it as It will improve data transfer from you to us in a safe and practical way. https://www.eurocircuits.com/wp-content/uploads/blog/why-you-should-supply-us-with-gerber-x2-files-2/thumb_1_gerber-x2.jpg 359 400 eC Admin http://www.eurocircuits.com/wp-content/uploads/2016/07/eurocircuits.png eC Admin2016-06-01 10:36:572018-05-14 16:29:17Why you should supply us with Gerber X2 files.